Up for bid this month is among the single most important and sought after MTG cards in the hobby. The Mox Jet is easily one of the most powerful cards in all of magic and sits among the elite as one of the coveted power 9. With the vast majority of these cards being actively used in decks, it's no wonder a card of this caliber rarely surfaces; even more so in such high-grade. To date, this card represents just the sixth Mox Jet Alpha example we've had the pleasure of brokering in our long tenure and is the finest we've brokered in recent months. In fact, the last one to surface was a BGS 9.5 GEM MINT which brought an astounding $65,100 on in July 26, 2018. It's really no question that this card is among the most valued magic cards in the world. The presented '8.5' is simply stunning and is seemingly worthy of the MINT designation. Displays strong black borders with well formed corners and fabulous registration. The surfaces are superb with rich color and tremendous clarity. 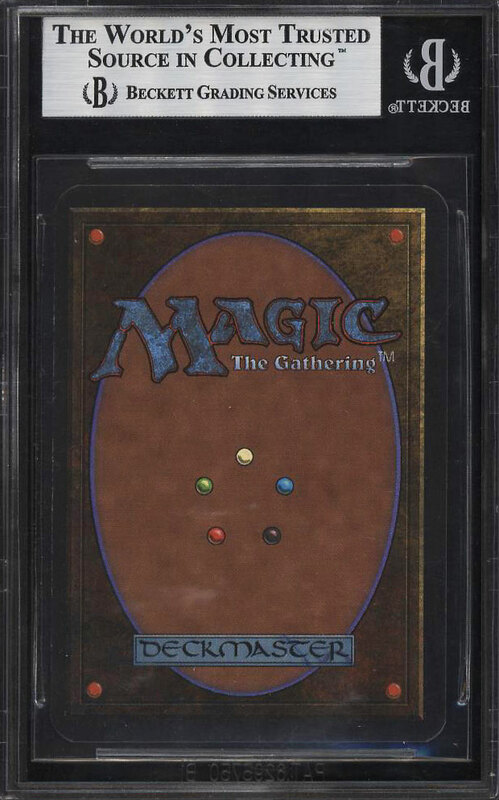 Important and scarce high-grade Magic cards, such as this masterpiece, continue to soar in value as investors realize just how special these card are. 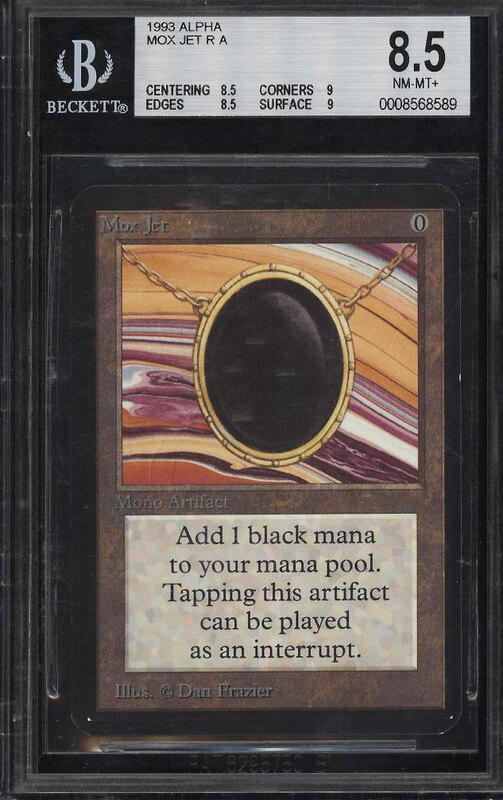 A truly incredible offering with 3 of the 5 Mox Alpha's being auctioned with no reserve. Enjoy! Part of an ultra impressive run of high-grade Magic The Gathering examples on the auction block this month. One of over 16,000 cards, lots and sets up for bid in our 1st Auction of 2019. Click on the link above to view the other PWCC auction lots.